I’m frequently asked if nonprofit board members need to do fundraising. My short answer is always, “yes,” which often elicits a look of horror or resignation from the person asking. Fundraising is challenging. Few people have a natural affinity for it, and yet, it is a necessity for most of our nonprofit organizations. Why do board members have to do fundraising? Ensuring adequate resources for the organization is a fundamental board responsibility and funding is one of those critical resources. 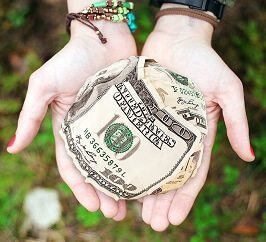 Nonprofit organizations get funding from a variety of sources: through grants, earned income, and contracts, but most include fundraising as part of the revenue mix. Raising funds through individual and business solicitations—even in the smallest organization—is more than what one department (or one person) can do on its own: this is where board members come in. The connections, commitment, and energy that board members bring to the organization are key to successful fundraising. Like tackling any other complex and daunting task, the best approach to developing skills and comfort with fundraising is to start simply and slowly. The board leadership, with support from staff, can help lead the way by making sure that board members have the information and tools they need to be effective advocates for the organization. First, all board members should be donors to the organization. It’s difficult to expect those outside of the organization to support it when those closest to it have not made a financial contribution. Some organizations require a specific donation amount from each board member; others expect board members to make a significant contribution that is representative of the commitment to the organization that behooves a board member. If necessary, the board president or development chair should help manage and remind their board colleagues of this expectation. Second, when the board discusses fundraising, it should help members focus on what they like about giving, rather than what they hate about asking. This sets a positive tone for fundraising discussions and helps board members think about why others might consider giving to the organization. This perspective helps members talk about the organization and its work in ways that connect it with others and their interests. Making these connections helps build and strengthen relationships in ways that can lead to financial support. Next, each board member should determine ways in which he/she feels most capable being involved in fundraising for the organization. Some people enjoy writing personal notes on solicitation letters; some delight in inviting others to attend an event or activity, while there are a few who prefer making the case and asking people directly for a contribution. Just as the organization matches the skills and abilities of its other volunteers to organizational needs, it should match its board members’ skills, abilities, and interests with its fundraising plan and activities. Once each board member identifies how he/she will be involved in the fundraising, the board needs a system that provides accountability to ensure that board members follow through with their involvement. The best way to do this is to have the board president or the development committee chair check-in with board colleagues regarding their tasks. This way, staff members are not put in the awkward position of checking-in with one of their bosses to see if he/she has completed a task or activity. Accountability and follow-through are critical components of board involvement in fundraising. Boards members who routinely neglect to follow-through on their commitments can weaken board relationships, resulting in negative and defeatist attitudes, resentment among board members who do complete their tasks, and erosion of board engagement and cohesiveness. Lack of accountability and failure to achieve goals, particularly in the area of fundraising, can lead to a board culture of ineffectiveness, which has a debilitating impact on the organization. No matter how young or how sophisticated an organization, it is part of a board member’s job to help expand the organization’s circle of financial supporters. Each organization may use somewhat different fundraising methods, but there are always ways for board members to use their skills and abilities to support fundraising activities. When involvement in fundraising starts with each board member making his/her own financial contribution and then taps into the skills and talents around the board table, it builds a more engaged and capable board, and by extension, a stronger organization. A version of this post previously appeared in the Corridor Business Journal.